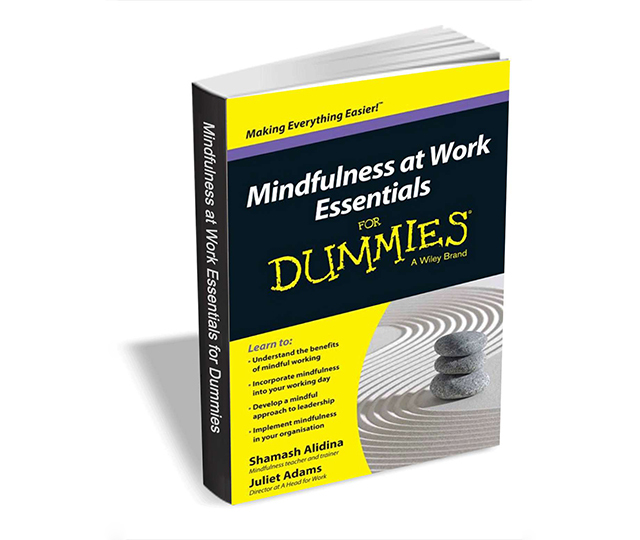 Mindfulness at Work Essentials For Dummies explores the many benefits of utilizing mindfulness techniques in the workplace, offering managers, HR professionals and business people of all levels guidance on how mindfulness can help with the development of core business skills. Innovative companies like Google have made mindfulness in the workplace a hot topic -- and for good reason. Provides an introduction to mindfulness and how it can help improve your working behavior. Offers useful tips on incorporating mindfulness into your working day. Demonstrates how organizations can benefit from implementing mindful approaches to work. Mindfulness at Work Essentials For Dummies usually retails for $9.99, but BetaNews readers can get it entirely free for a limited time. The offer expires on July 26, so act fast.